In a previous post, we learned why garage insulation is crucial if you have an attached garage. Not only does it keep temperatures regulated to protect your vehicles and belongings, but it also acts as the first line of defense to any noxious chemicals, poisons, and fire. Now that we’ve explored why it’s needed, where do you begin to choose what garage insulation to get? Routine garage door services keep your garage door properly maintained and in optimal running order. At A & H Garage Door Services, we can help you with garage door panel repair to garage door insulation, and everything in-between! In today’s post we’ll be discussing different types of garage insulation, so follow along to learn more about their benefits. Is there a difference in garage insulation? Garage insulation and home insulation are the same, so if you’re building a home, you can use the same insulation material used on the house, on the garage. If you’re already in your home and looking to finish the garage with insulation some types are better than others, it merely depends on what requirements you need it to fulfill. There is a misconception that insulation provides warmth, but it simply helps regulate temperatures and keeps the garage from extreme temperature fluctuations. One aspect that does need to be considered, is the difference between garage insulation and air sealing. 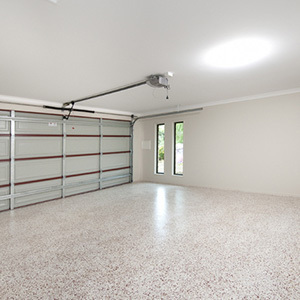 Generally garages aren’t built to be air tight, and are exposed with gaps and spaces to the outdoors. So, you can insulate every part of your garage, but if it hasn’t been air sealed, it’s rendered useless. Air sealing your garage is as simple as investing in a can of spray foam and sealing the air and light from all the exposed nooks and crannies. Fiberglass insulation is the most common among homes and garage insulation — it’s the pink, fluffy, cotton-candy esque panels, but don’t eat it! It comes in pre-cut sections that fit between the wall studs. Loose-fill fiberglass is also available and is great for attics and the unfinished space above the garage. If you’re planning on just garage insulation and not finishing the walls or ceiling, you can purchase paper-faced fiberglass sections that are wrapped and give the garage a more polished aesthetic and there won’t be itchy fibers floating around or a dust trap! Spray foam works charmingly for air sealing and insulating your garage. It provides one of the highest R-values of all the insulations and is typically seen in energy-efficient construction. Because spray foam is more expensive compared to other insulation types, people tend not to use it in the garage. It does, however, make sense to use it if you’re converting your garage into a livable space. 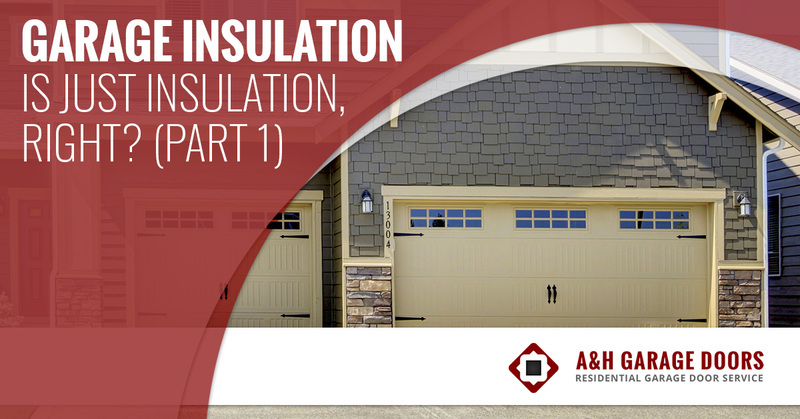 There are many more types of garage insulation to cover, so we’re going to expand this into a two-part series! When researching garage insulation, it’s important to discern what you need — insulation or air sealing. Fiberglass insulation is the most common and cost-efficient type of insulation, while spray foam is amazing for air sealing and gives the best R-value, it is more expensive than other insulation types. 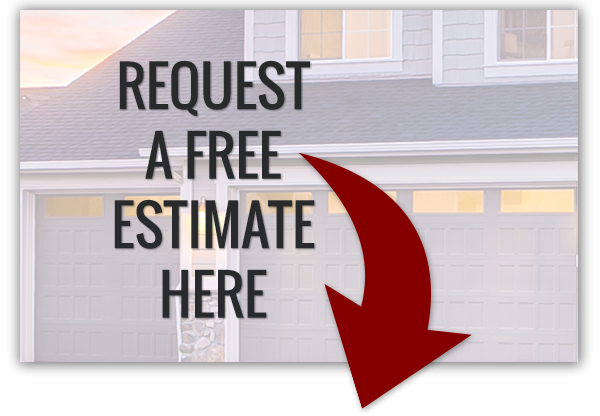 For all your garage door services, connect with us today!